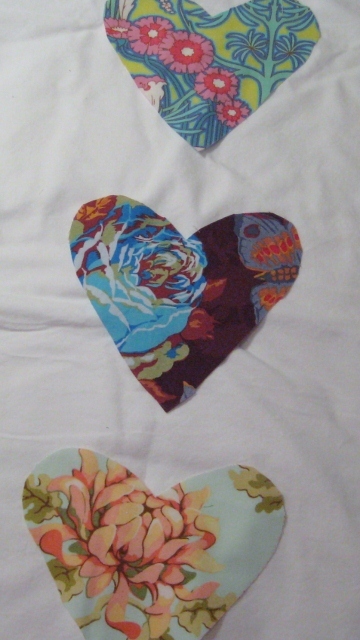 With Valentine's Day approaching, I felt inspired to make some hearts, so I cut some out from a variety of different fabrics. A few from some patchwork I did years ago, some from designer fabrics and even one from some old flannel pajamas! I stitched a few up into stuffed hearts. That is pretty quick and then I can play with adding embellishments or not, and hand sewing the openings closed. I like having some hand sewing to do in front of the TV at night sometimes. Here are a few that are in process - still need the openings stitched up. I put a bit of trim on the green and purple one. The background is from some freeform patchwork I made a long time ago. And that red/pink one with the pom pom trim? That is the first time I have sewn with pom pom trim. So I am not too unhappy with the results, even though it could be better. I guess it would be recommended to start out with something straight when learning to sew on trim, but I don't always do things the simple way! 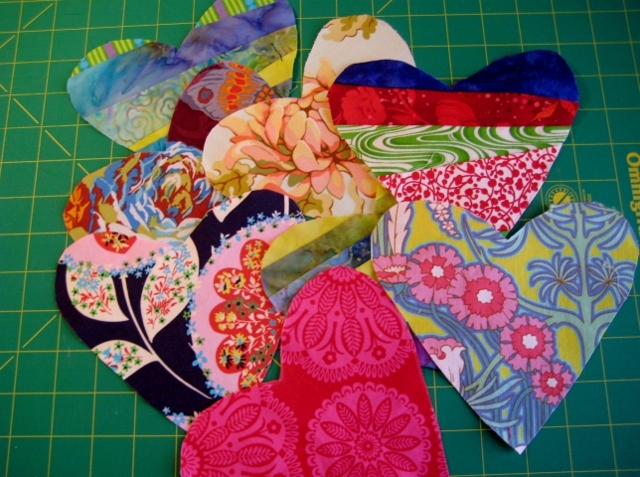 I have been toying with the idea of making a little quilt with some applique hearts. I love machine applique and I always love a white background. I may dig through my stash and plan out a quilt . . . I'm linking up with Fresh Sewing Day and Small Blog Meet UP at Lily's Quilts. Buttons/links in my side bar. Head over to see what everyone has been up to. What happy hearts and wonderful colors. 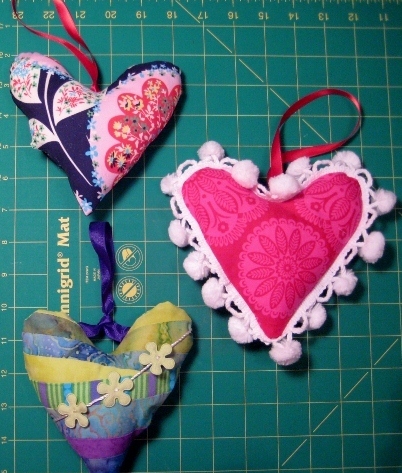 And the heart appliqués are a fab idea! Visiting through Lily's Quilts Small Blog Meet. Love your hearts. Popping in from Lily's.